Jonathan Jackson is a five-time Emmy Award winning actor. Fans of the TV show Nashville – which includes the staff at SoundPress.net – know Jackson as Avery Barkley. Yet, he is also an accomplished author and a talented musician in real life. Since 2004, he has fronted Jonathan Jackson + Enation. The power trio includes his brother Richard Lee Jackson on drums and bassist Daniel Sweatt. The group are touring in support of their major label debut on Loud & Proud Records called Radio Cinematic which was released to critical acclaim in the fall of 2014. 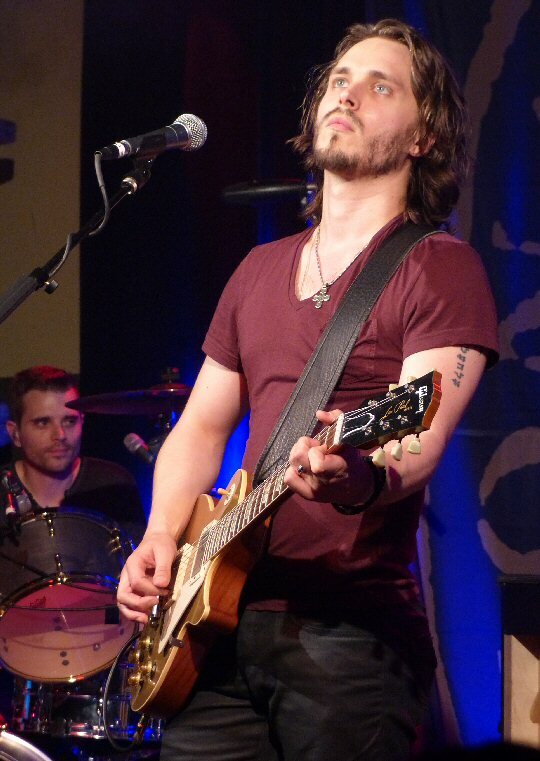 Jonathan Jackson + Enation kick things off in Nashville in May 2015. 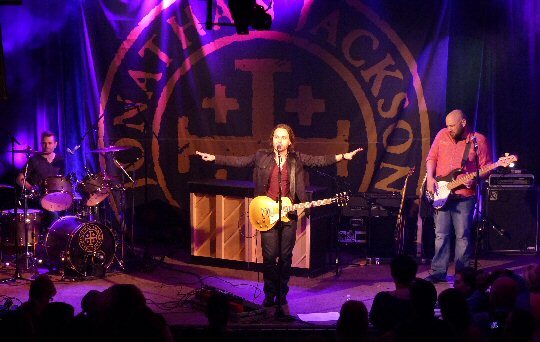 As luck would have it we were in Nashville, Tennessee on May 22, 2015 at 3rd and Lindsley to see Jonathan Jackson + Enation as they launched their first ever trek throughout the States. The bar/restaurant has good sound and sight lines with rustic seating on two levels. The anthemic Euro-rock style band were in Music City to kick off their Radio Cinematic run to a capacity crowd. 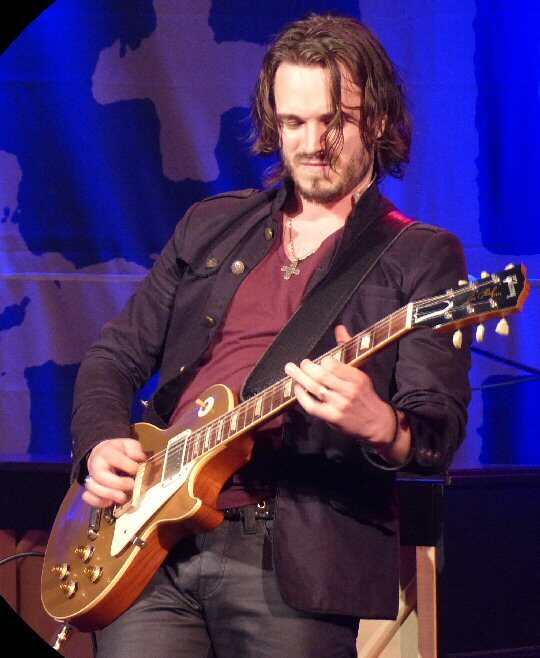 Jonathan Jackson = Movie star looks + guitar god licks. “I wrote this a few years ago, it was on Nashville,” shared Jonathan as Enation performed the reflective “The Morning of the Rain” with its rousing refrain. It flowed into a stark yet stand-out cover of R.E.M.’s “The One I Love.” “Let The Beauty Out” had both a bold and bouncy groove to punctuate its message. “I See God In You” expanded from a slow simmer to a soaring zenith. During this track we noticed that actress Clare Bowen (Scarlett O’Connor) was stage side supporting her co-star. Jackson moved to the piano for the serious “Hand of Your Drug” as Jonathan reflected that we all have “someone in our lives with substance abuse”. “This is what we love to do, so excited to share it with you,” enthused Jackson as they presented a rocker from their 2004 debut album. Enation took us on a world-wide musical journey starting in Athens, Georgia with a second rousing R.E.M. cover (All The Best) then across the ocean to Ireland with a fine version of “The Fly” by U2 with its distinctive “Edgy” riffs. The band jammed out on this one before traveling to the UK with an expanded “National Anthem”. The Nashville star proved he’s more rock than country in Music City. Mentioning the new record Jonathan shared that “A Far Away Reality” was written about the Civil War but it’s also a reminder that people are all connected. Jackson moved to the piano to present his pensive prose about the tragic consequences of war that applies to all ages. Richard and Daniel added distinctive heavy tones to the tale. The trip continued to Seattle as Enation raised the energy with Pearl Jam’s “In My Tree”. “Keep Asking Why” was another catchy and popular tune from Nashville. 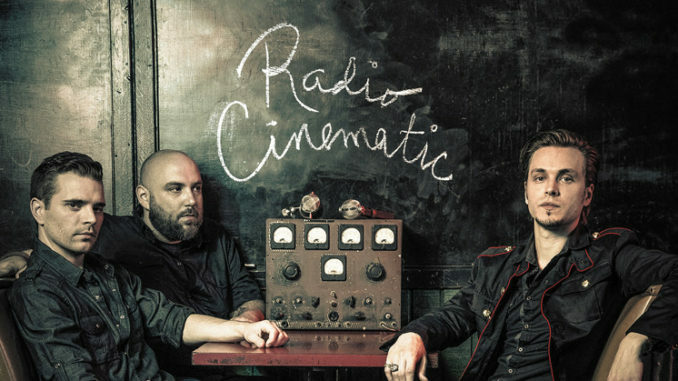 “Cinematic” off of Radio Cinematic was versatile and vibrant. Jackson encouraged fans to clap and sing along to the positive “Everything Is Possible”. Daunting rhythms set the pace for a dramatic “Riot/(The End)” to close the show. At this particular concert Jonathan Jackson + Enation hosted a VIP meet-and-greet after the show to say hi to fans and pose for pictures. The band will be on the road through early July 2015 so there is still time to catch them in action. Opening for Jonathan Jackson + Enation was Nashville singer/songwriter/multi-instrumentalist Ruston Kelly. Ruston was an engaging storyteller with an effective band. “Hollywood” may not have been a happy tale about the City of Lights but it was compelling as was Kelly’s whole set. 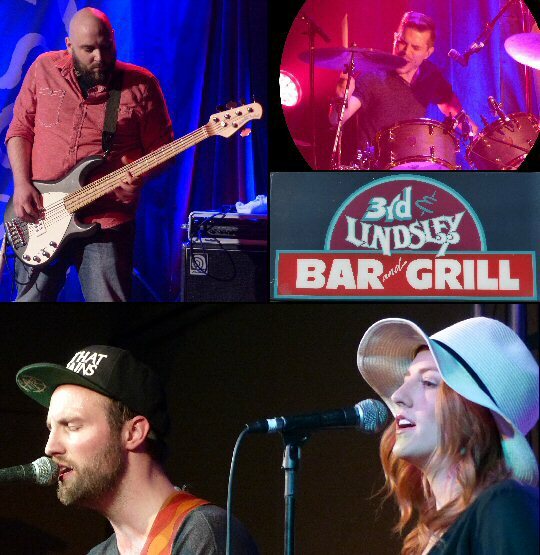 Enation and opener Ruston Kelly at 3rd and Lindsley.